As the hot days of summer are well upon us – we’re in triple digits in Texas…current temp outside is 102 as I type (inside with AC, thankfully!) — and we’re trying to stay cool as we get a little fishing in. 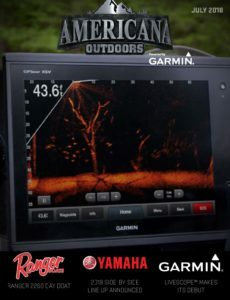 We had a fun-filled Spring with turkey hunting and hosting the first Yamaha Turkey Bass Smash at our camp…some of the funniest episodes, so be sure to watch them! The month of May is always one of the busiest and also a favorite time here – this year was our 13th BoatUS Collegiate Bass Fishing Championship! A huge Congrats goes out to Bethel University for their wins… Carter McNeil and Cole Floyd took the 2018 National Champion Title, and thus absolutely securing the prestigious title of Cabela’s School of the Year Winners for Bethel University! 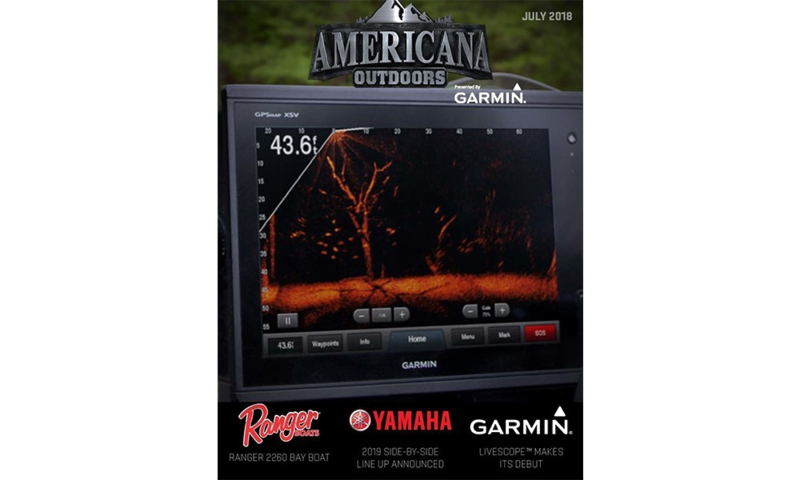 While we’re on the water, we’ve been left in awe of technology and Garmin with their release of the new Panoptix LiveScope™. It’s unbelievable and you will be amazed with us when you see LiveScope™ in action later in this issue. 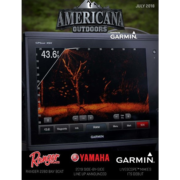 Americana Outdoors is having a blast giving away prizes to our fans! If you haven’t checked it out yet, be sure to see all the products given away in June, and the four trips of a liftetime from which the Grand Prize winner will get choose! We’re headed to ICAST in July and will be back with a special edition featuring all the new products we find! Until then, get out on the water…and take a kid fishing!